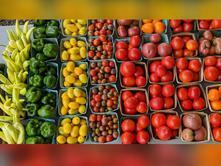 The ASU Regional Farmers' Market is a non-profit entity for the purpose of developing and operating a locally owned and operated farmers' market in the Jonesboro and the surrounding area. The market was created to give the small farmer, craftsperson, baker and plant grower a local marketplace for their products, as well as to provide the community access to its own local growers and craftspeople. All produce/products are grown/created within a 100-mile radius of Jonesboro or within the state of Arkansas. All of our produce vendors are growers. The ASU Regional Farmers' Market is administrated, governed and marketed through the partnership of the East Arkansas Resource Conservation & Development Council, Inc., and the market Board of Advisors. Travel South on Hwy 49 into Jonesboro, turn left onto Aggie Road (the ASU campus will be to the right).